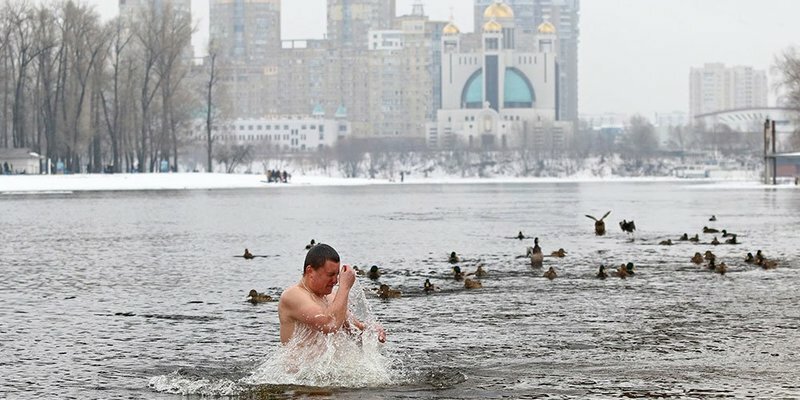 In recent years water-christening baths have become very popular among the citizens of Kyiv, who traditionally will go to the ice holes on January 19, 2018, following the holy tradition. It is very important to prepare properly for the ritual so that to minimize the risk of injury and prevent illnesses. Ice hole should be thoroughly prepared. You need to smooth the sharp edges and remove the ice from the surface of the water. The depth of the ice hole should not exceed 1.5 m, so that a person could be in they depth. It is strictly forbidden to dip in places with the current. Paramedics, rescuers, as well as floating devices must be near the ice holes. The water of the water area should be checked for the presence of chemical contaminants and heavy metals. Those who want to swim, it is better to bring a board or a foot-cloth, as well as slippers, not to stand barefoot during dressing. In connection with stealing things and phones, you should leave them under the care. It is desirable that someone watches a person who swims from the shore, especially during mass bathing. People who are in a state of alcohol or drug intoxication are forbidden to dip. When you go into the water it is necessary there isn’t anybody at the distance of the elongated hand. An unprepared person should stay in water no more than 20-30 seconds. The number of dives with a head depends exclusively on the person's desire (traditionally three dives). After leaving the water, carefully rub with a towel. It is good if there is a place where you can get warm (a special tent, a cafe, a sauna), drink tea or coffee. How to get there: underground station "Hydro park"
Hydro park is winter swimmers’ favourite place for bathing. Jordan near the temple is sanctified by higher ecclesiastical rank. It is near the chapel of the Baptism of the Lord, well-known politicians swim. Divers can use for changing the cabins, which are installed on the Venetian beach, near the chapel. Park "Druzhby Narodiv" (Park of Friendship of Peoples) ("Muromets"), Yurievsky Bay of the Desenka River. 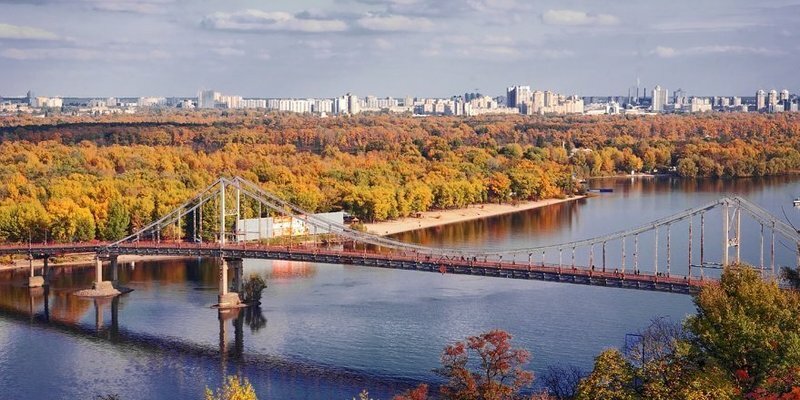 How to get there: from the underground station "Petrivka" three stops in the direction of the Moscow Bridge. Consecration of water. Spring water. Three prepared ice holes and one for nudists. Large changing area with wooden flooring. A cozy cafe serving tea and mulled wine. Four saunas are available for public use. How to get there: from the underground station “Minsk" then go on foot to the Pryrichna St., 5a or by bus # 559. Parishioners of the Orthodox Christian church perform a Christian rite near the Pokrovskii Cathedral on the Obolonska embankment. If there is some ice, the ice hole is cut out in the form of a cross and is consecrated by Metropolitan of Kiev. How to get there: from the underground station "Heroes of the Dnieper" by bus #397 or 441, go to the "Children's Hospital" stop and cross the street. How to get there: from the underground station "Livoberezhna" by bus #178, 245. How to get there: from the underground station "Shulyavska" by bus # 201, 232; from the underground station "Palace of Sports" - # 427, 471; from Central department store - # 433; from the Southern Railway Station - # 454. 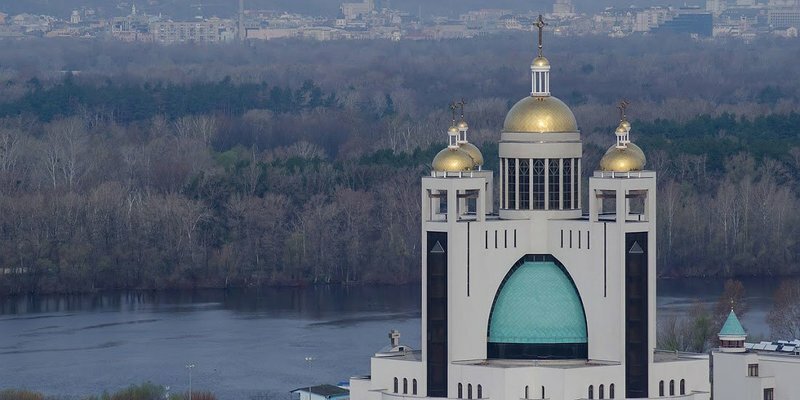 Go out at the stop " Mykhailo Donets St "
In the morning there will be a festive liturgy in the Cossack Church of the Protection of the Blessed Virgin, then the procession and the Great Consecration of water on the lake near the church in front of the Jordan Cross. 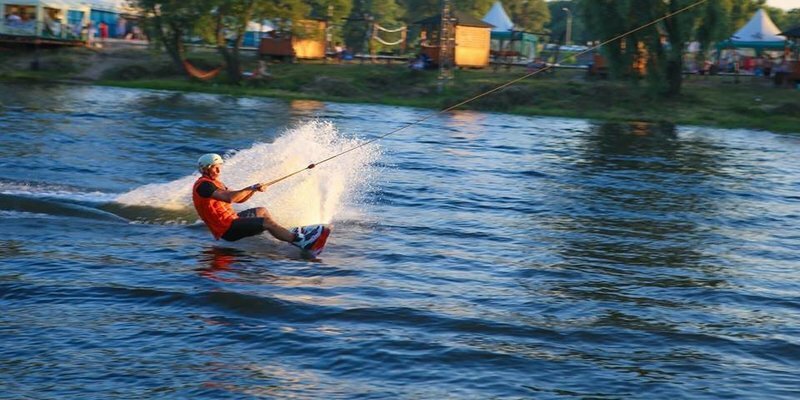 After the water procedures in the "Mamaieva Sloboda", water-christening processions will start under the Cossack tradition - with musicians, kulish on the bonfire, burning of the grandfather and running a goat. How to get there: from the underground station "Livoberezhna" by bus #177, 178 to the stop "Prospect PavloTychyna (Dniprovska embankment)". There is a temple of the Holy Prince Yaroslav the Wise on the bank of the Dnieper, next to which you can dive into an ice-hole on Epiphany. How to get: from the underground station "Livoberezhna" by bus # 87, by bus - # 425 (87), 599, 535. Another "church" hole this year will appear on Lake Telbin, near the temple of the Nativity of Christ on Bereznyaky. At 12.00 the priest of the temple sanctifies the local Jordan. After that, everyone will be able to dip in the ice hole. How to get there: get off at the station " Livoberezhna" and go on foot. How to get there: from the underground station "Livoberezhna" by bus # 70 to the stop "Peter Vershigory" and go on foot. How to get there: from the underground station "Teremky" by bus # 444 to the stop "Metrological" and go on foot. Price: entrance to the park area - 20 UAH. The celebration starts at 8 a.m. in the Feofaniia Park. The place will be equipped with comfortable ice holes with a straw deck, tents for heating and changing clothes. After an ice bath you can restore strength with herbal tea, coffee and mulled wine. How to get there: from the underground station "Demiivska" by bus # 412, 557 to the stop "House number 68". 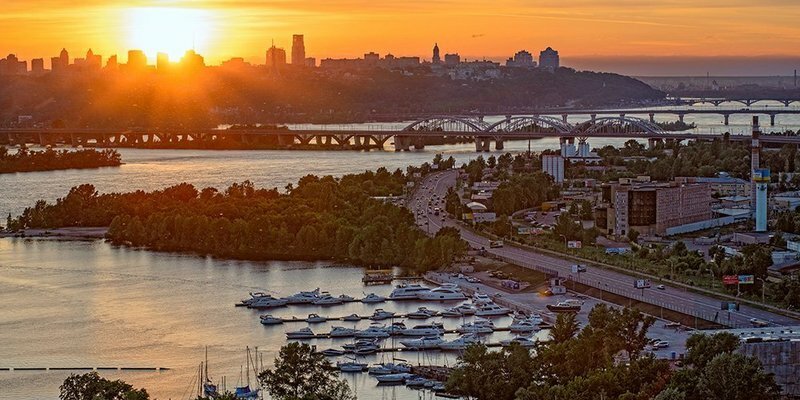 Residents of Holosiivskyi district will be able to swim in the Dnieper - in the Gulf of Galen, which is located in the metropolitan micro district Korchuvate. Museum of Folk Architecture and Life "Pirogovo"
How to get there: from the underground station "Lybidska" by trolley-bus #11, from Leningradska square, the underground station "Druzhby Narodiv" – bus # 172, from the underground station "Akademgorodok" – bus # 576, from the underground station “Lukyanovska” - # 496. Price: entrance to the museum - 40 UAH. Epiphany in the open-air museum "Pirogovo" is also celebrated with the steadfast adherence to all Christian ceremonies. 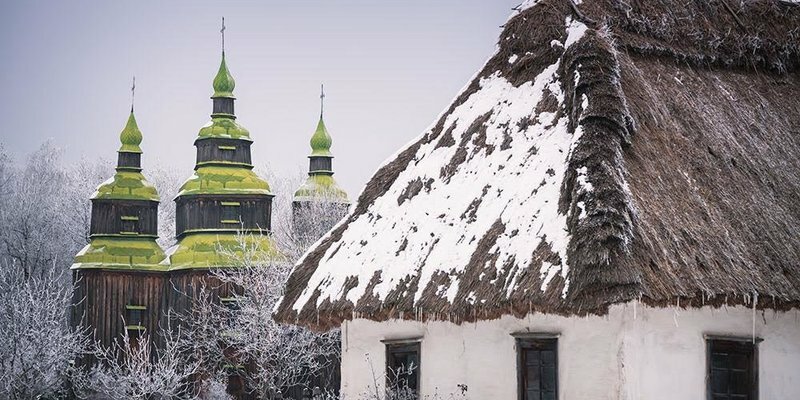 Here on January 19, people come to plunge not only into Jordan but also into the atmosphere of christening celebration in an ancient Ukrainian village. 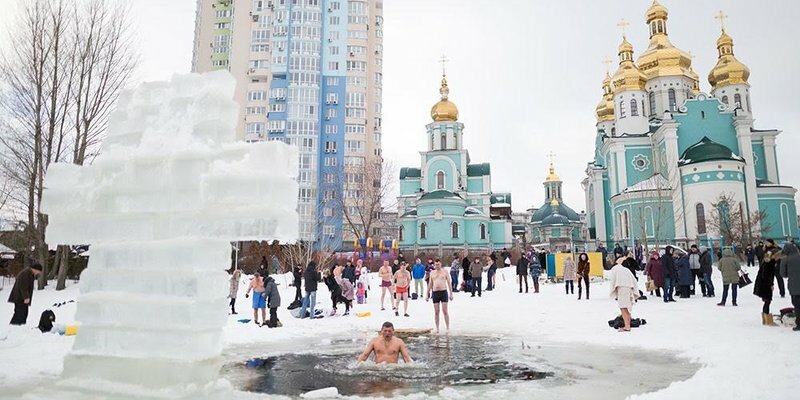 The ice hole is made near the church of Archangel Michael. A bell concert is organized on Epiphany in the church. A good mood for all believers is provided. How to get there: from the underground station "Kontraktova square" by bus #115 to the stop "Peshohidnyi mist" and go on foot. The ice hole is cut near the Peshohidnyi mist. How to get there: from the underground station "Goloseevska" by the monastery bus # 115 to stop "Holosievsky Monastery". Here you can plunge near the Holy Protection Holosievsky Monastery. Country ethnographic complex "Ukrainian Village"
How to get there: from the underground station "Svyatoshin" (from under the bridge) by bus #773 Kiev-Mykolaivka. Get off between the villages of Buzova and Mykolaivka at the stop "Vertolitna", which is located near the complex. 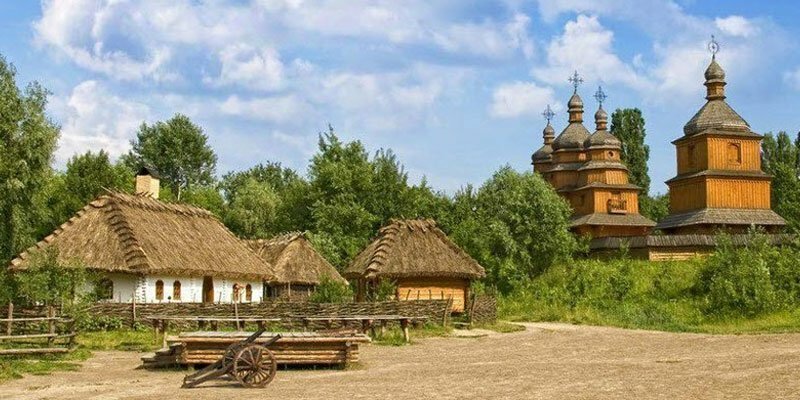 On the holiday of the Baptism of the Lord in the ethnographic complex "Ukrainian Village" a blessing of water in the new oak bath will take place. After that, the parishioners of the Holy Dymytrovskyi Temple and visitors of the complex will be able to plunge into the Jordan. How to get there: by bus (it takes about 45 min.) From the underground station "Vydubichi" (exit from the underground towards "Furshet"). Travel fare - 35 UAH. Price: entrance to the complex - 150 UAH. This year, the celebration of Epiphany in the park "Kyivska Rus" will last 3 days – 19th, 20th and 21st of January. Visitors will see theatrical performance "On the Jordan", a traditional Christmas Nativity scene, as well as an interesting and instructive fairy tale with music and special effects from the theater of Ancient Kyiv. The beginning of the drama program is about 4:30 p.m. on 19 January; on 20 and 21 January - at 1:30 p.m.
And the most important festive event: the procession to the local Emerald lake and bathing in it. The traditional divine ritual will not only be immersed in water, it will be the reconstruction of the Vodohreshchenskyi rite for all the rules that existed once in ancient Rus. 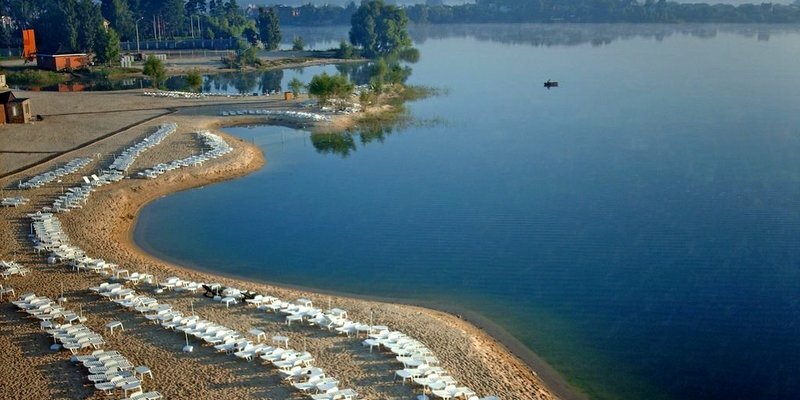 On January 19, the waters of the lake will be sanctified by the priest. After the winter bathing, you can warm up in the tavern with delicious herbal tea or mulled wine. 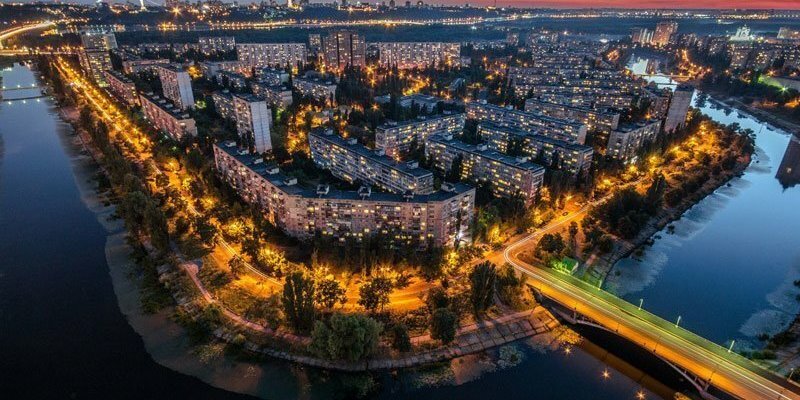 Disadvantages: It's not easy to get here - the nearest underground is far away, so you have to go by buses, trolleybuses and minibuses to get the underground station "Livoberezhna", "Kharkiv", "Druzhby Narodiv" or "Lybidska". How to get there: from the underground station “Vydubichi” by bus # 309, 789. 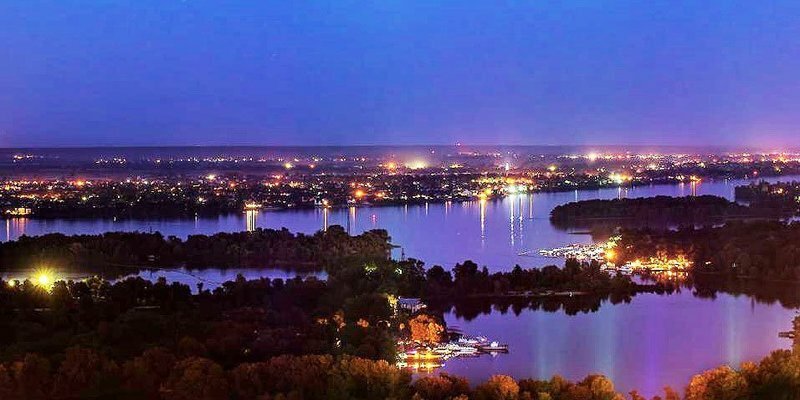 Advantages: there is one of the most beautiful reservoirs in Kyiv near the Obukhiv highway and the suburbs of the capital. There is a parking lot near the lake. Disadvantages: lovers of secluded rest will love this place, but for a family holiday it is not very suitable. There are no churches nearby. Getting to this quiet backward water without a car is a problem - half an hour by bus from the underground station "Vydubichi". It will take about 15 minutes by car.